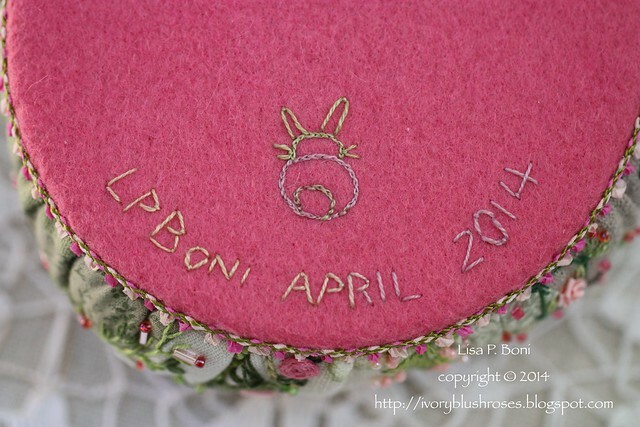 April's pincushion for the Crazy Quilt Journal Project (CQJP) 2014 has a rosy theme! 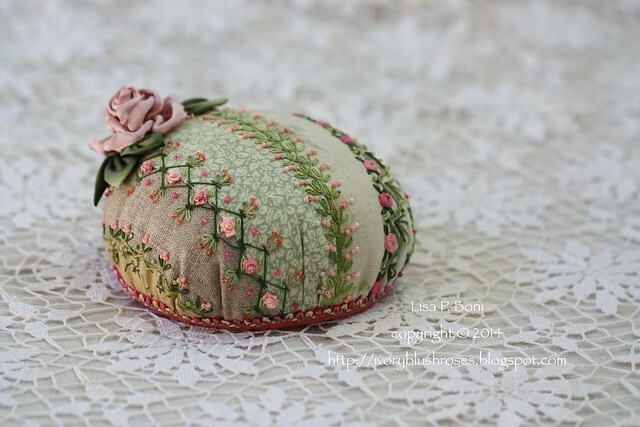 With this pincushion, I finished the last of the large pincushion blanks from my Unfinished Project pile! 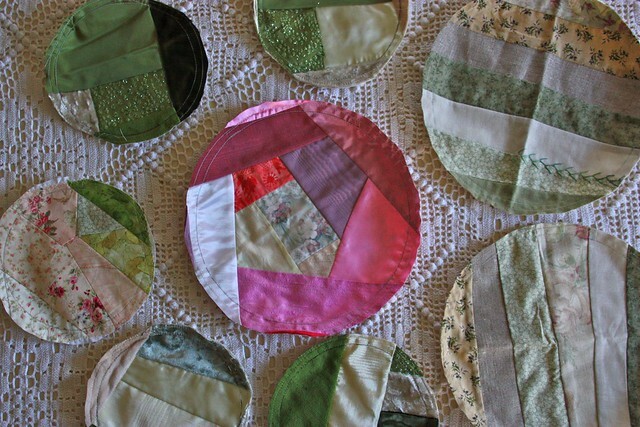 It was the pale rose on a piece of linen in it that inspired the theme. 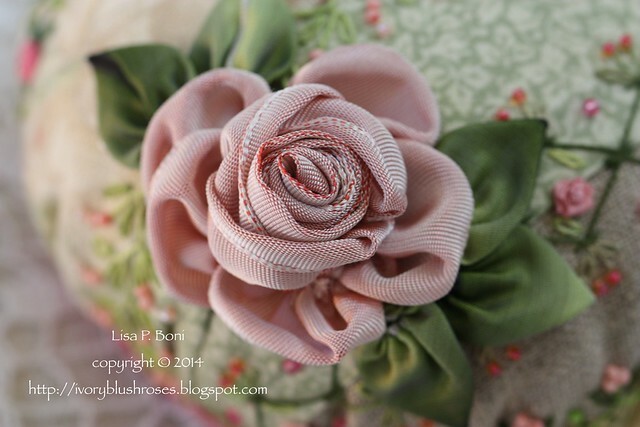 I made the ribbon rose by combining procedures I learned from both Helen Gibb and Candace Kling . 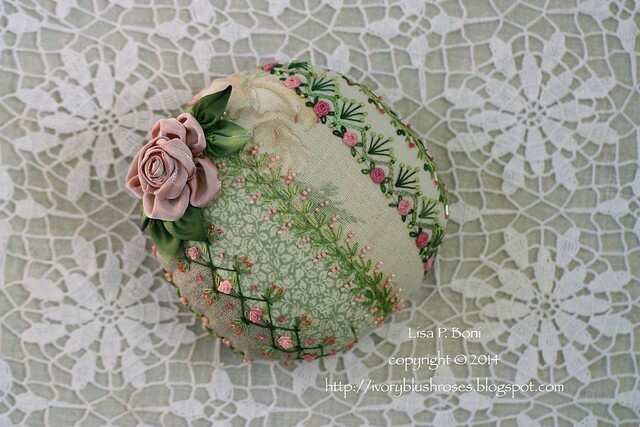 It contains a rolled rose center, a three part folded rose petal and five individual folded rose petals. The leaves are prairie point leaves. 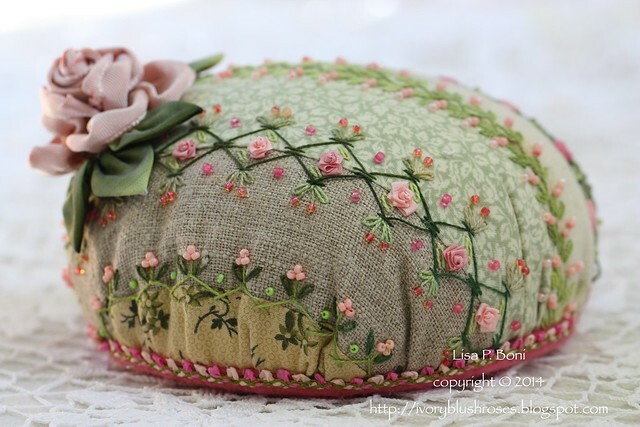 Once the rose was completed, it inspired the rest of the stitching on the pincushion. There are thread woven spider web woven roses and silk ribbon Fargo roses. Pink beads in coordinating colors complete the seam embellishments! I love how dimensional the rose is. 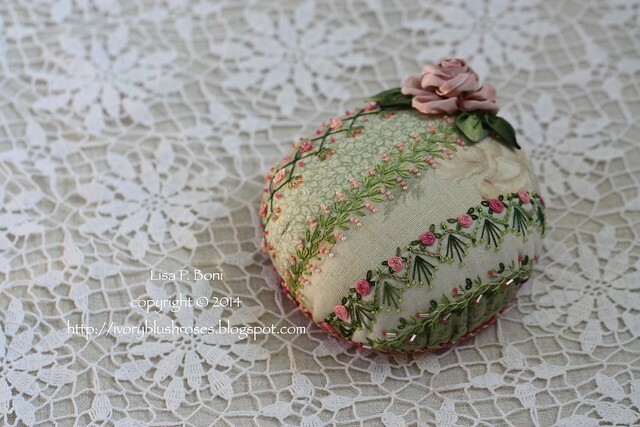 Like a corsage pinned onto the pincushion, dressing it up for Easter! The base has my usual signature! Such lovely work... and in my favorite colors. You're going to have a gorgeous collection by the end of the year. It is just gorgeous...You are so talented. 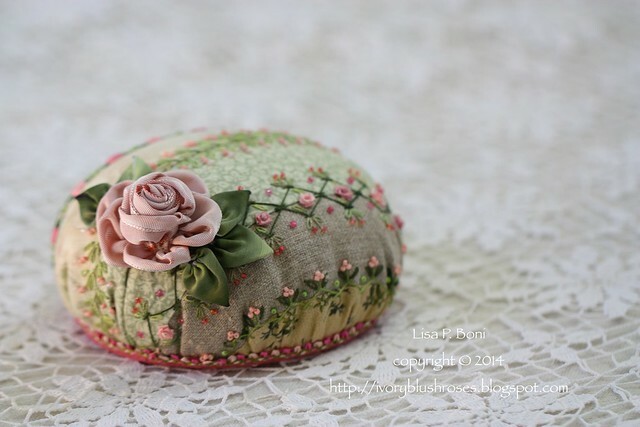 Lisa, your pincushions are so beautiful! I decided to use your wonderful tutorial to make one for my mom. There are pictures on my blog in a post linking back to ivoryblushroses. I have a long way to go, but I am so thankful for your tutorial! This is so pretty and delicate. Once again your work has inspired me. I will have to check out the two ladies you gave links for. Beautiful! I have never made a spider web rose with thread, only ribbon. Wow! I love them better with floss!! I'm going to have to try that. You've inspired me once again.